The "Ted Tales" continue in this week's Title This. I've you've missed the prior 2 posts, you can find them here and here. After the rough waters of Moonlight Bay caused Ted to lose his Animal Crackers, we opted for a "quieter" kayak ride on the waters of North Bay - a favorite location for local and migrating water fowl. This was our first trip onto North Bay in the kayak and, while we knew it was a favorite location for our avian friends, we did not realize just how shallow the ENTIRE bay really is. 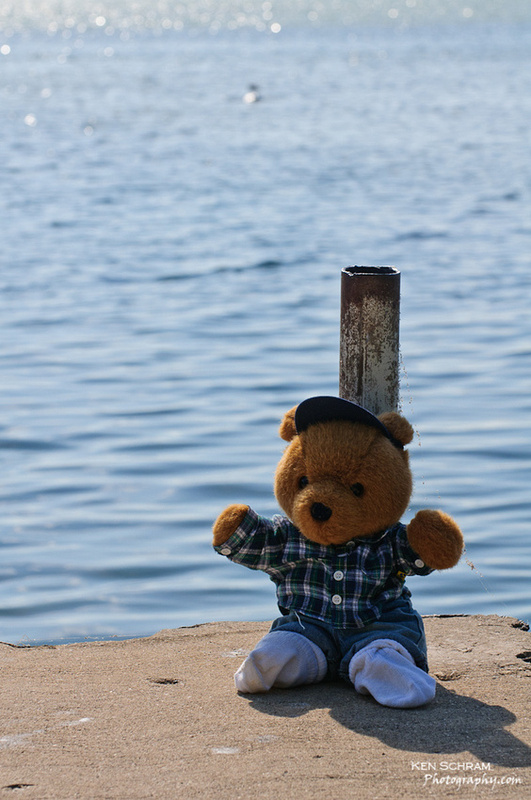 In this shot, Ted illustrates the average depth of North Bay. Use the comments section below to offer up your title for Ted's portrait and remember, Ted's watching!